Paul’s second epistle to the community at Thessalonica warned that the second coming of Christ will be preceded by the appearance of “the man of sin,” who will work false miracles and exalt himself over God, setting himself up in God’s Temple, all in accordance with the plans of Satan (2 Thess 2:1-17). The “man of sin” was subsequently linked to the Antichrist mentioned in John’s first and second epistle (1 John 2:18-22, 4:3, 2 John 1:7). Various diabolic figures from the Book of Daniel and the Book of Revelation have also been interpreted as relating to the Antichrist. These allusions to a diabolic character were fleshed out over time. 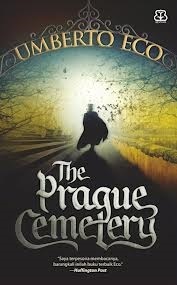 It was perhaps inevitable that the Jews, already key villains in Christian myths, and the Antichrist, would coalesce into a new mythological character, “the Jewish Antichrist,” whose arrival would mark the beginning of an apocalyptic conflict. The anti-Jewish accusation that the Antichrist, a servant of Satan, will be born to Jews, gained popularity during the Middle Ages. According to Norman Cohn, over time it “came to seem that the world was in the grip of demons and that their human allies were everywhere, even in the heart of Christendom itself.” The Antichrist was regarded as an authentic manifestation of evil, who would lead Satan’s forces in a war against the followers of Christ. The Antichrist was intertwined with millenarian expectations of the establishment of the Kingdom of God on Earth. As Joshua Trachtenberg observed in his study of antisemitic myths, in the modern era the Antichrist legend may be “too easily dismissed as pure fantasy, merely another of the fabulous motifs that entertained the Middle Ages, without exerting any momentous influence upon the thought and action of the common people.” Trachtenberg concluded however that the Antichrist myth was considered by many “a terrifying reality.” The arrival of the Antichrist, as Cohn observed, was considered no mere “phantasy about some remote and indefinite future but a prophecy which was infallible and which at almost any given moment was felt to be on the point of fulfilment.” See Norman Cohn, Europe’s Inner Demons: The Demonisation of Christians in Medieval Christendom (1975; repr., London, Pimlico, 2005), 23; Joshua Trachtenberg, The Devil and the Jews: The Medieval Conception of the Jew and its Relation to Modern Antisemitism (1943; repr. Philadelphia: Jewish Publication Society, 1983), 32-43; Norman Cohn, The Pursuit of the Millennium (1957; repr., London: Pimlico, 1993), 35, passim. 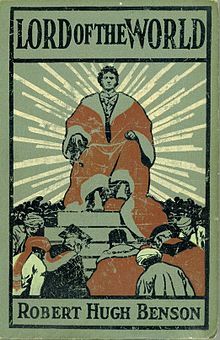 A prominent construction of “the Jewish Antichrist” narrative was articulated by Father Henry Manning in the early 1860s (a few years prior to his appointment as the Archbishop of Westminster – i.e. the head of the recently re-constituted English Catholic hierarchy). Manning discussed the arrival of the Jewish Antichrist in a series of lectures delivered in 1860 at the church of St. Mary of the Angels, Bayswater. 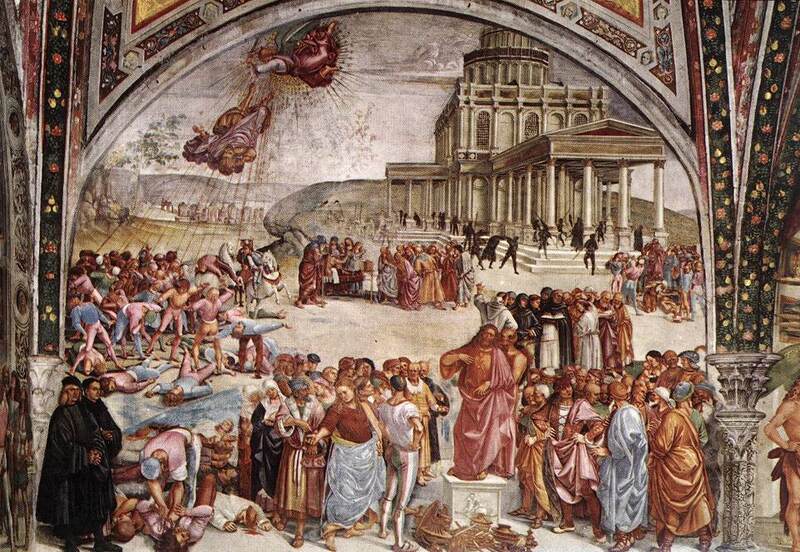 These lectures discussed the then impending threat to the temporal power of the Church. The lectures were published as a booklet in 1861 , and republished in a larger volume along with a number of other lectures in 1862 . This was a time when the Papal States was being seized and dismantled by the Risorgimento. At this time Father Manning, who had converted to Catholicism in 1851 and was advancing rapidly within the Church, was it seems quite willing to accept the Jew as a scapegoat for the catastrophe. Whilst he later adopted more positive stereotypes of the Jews, he nevertheless republished these lectures verbatim with a new preface in 1880, by which time he had been the Archbishop of Westminster for fifteen years and a Cardinal for five years. See Henry Edward Manning, The Present Crisis of the Holy See Tested by Prophecy (London: Burns & Lambert, 1861), 1-92, and Henry Edward Manning, The Temporal Power of the Vicar of Jesus Christ, (second edition, London, 1862; third edition, London, 1880), Part II, 81-173. Manning explained in these lectures that whilst it may “run counter to the popular spirit of these times,” and expose him to “the contempt or compassion of those who believe the world to be governed by the action of the human will alone,” his intention was to examine the present situation of the Church by the “light of a prophecy.” According to Manning, “the theory, that politics and religion have different spheres, is an illusion and a snare.” He referred to a conflict between “two ultimate powers,” two forces arrayed and marshalled against each other, that of “Christ and Antichrist.” Manning argued that “the interpretation universally received by anti-catholic controversialists, whereby, first, Antichrist is held to be a spirit or system, and not a person, and next, to be the Catholic or Roman Church, or the Vicar of the Incarnate Word, is the master-stroke of deceit.” Such a deception, he suggested, was an attempt to allay fears, inspire unwarranted confidence, and misdirect attention from the true Antichrist. The “prophecies of Revelation,” he explained, are explicit about the coming of Antichrist, describing the Antichrist with “the attributes of a person.” According to Manning, “to deny the personality of Antichrist, is therefore to deny the plain testimony of Holy Scripture.” Manning informed his audience that the “[Church] Fathers believed that Antichrist will be of the Jewish race.” He stated that such was the opinion of St. Irenaeus, St. Jerome, the authors of texts ascribed to St. Hippolytus, and St. Ambrose, St. Gregory the Great, the Italian Jesuit theologian Robert Bellarmine (canonised in 1930), and many others. He concluded that they were probably correct, considering that “the Antichrist will come to deceive the Jews, according to the prophecy of our Lord.” Manning explained that whilst the Antichrist will at first pretend to believe in the “law of Moses,” he will only do so “in dissimulation, to deceive them, and to obtain supreme power.” Afterwards he will “reject the law of Moses, and will deny the true God who gave it.” According to Manning, the Antichrist will be received by the Jews because they are still awaiting the coming of their “false Messias,” and “they have prepared themselves for delusion by crucifying the true Messias.” It is not “difficult to understand how those who have lost the true and divine idea of the Messias may accept a false,” Manning stated, and that “being dazzled by the greatness of political and military successes, and inflated with the pantheistic and Socinian notions of the dignity of man, may pay to the person of Antichrist the honour which Christians pay to the true Messias.” The Antichrist, Manning argued, will be “a temporal deliverer, the restorer of their temporal power; or, in other words, a political and military prince.” Manning explained that the only thing that will hinder the arrival of the Antichrist is the Church and Christian civilisation, as “the lawless one … has no antagonist on earth more direct than the Vicar of Jesus Christ.” Manning argued that there are two types of society. The first type is the “natural society” in which “the political order … comes from the will of man.” Conversely, the second type, the “supernatural society,” is that which “still being penetrated by the spirit of faith and of the Catholic unity, is true and faithful to the principles upon which Christendom was first constituted.” He argued that many countries in “Christian Europe” have changed from the supernatural type of society to the natural type of society, banishing religion from politics and the State, and declaring that “all sects are equally participators in the political life and political power of the nation.” Manning clarified that he was not arguing that the Jews (“that race who deny the coming of God in the flesh, that is, who deny the Incarnation”) should naturally be denied “admission to political privileges”. “On the contrary,” he stated, “if there be no other order than the order of nature, it would be a political injustice to exclude any one of the race of Israel from a participation of equal privileges.” However, he then stated that: “I maintain equally, that in the day in which you admit those who deny the Incarnation to an equality of privileges, you remove the social life and order in which you live from the Incarnation to the basis of mere nature.” This, he concluded, “is precisely what was foretold of the antichristian period.” He considered this reduction of the supernatural society, imbued with the spirit of faith, to a mere natural society based on the will of man, in which Jews are granted equal political rights, to be a confirmation of the prophecy of the Antichrist. After the lectures, Manning wrote to his friend (and later four-time British Prime Minister), William Gladstone, about the “Italian Question,” explaining that he would “die with the belief that it is what I have endeavoured to sketch in those lectures on the Antichrist.” See Henry Edward Manning, The Present Crisis of the Holy See Tested by Prophecy (London: Burns & Lambert, 1861), 1, 20-21, 22-34, 44-47; Letter from Manning to Gladstone, 26 October 1861, in Peter Erb, ed., The Correspondence of Henry Manning and William Ewart Gladstone, volume III, 1861-1875 (Oxford: Oxford University Press, 2013), 13-15. 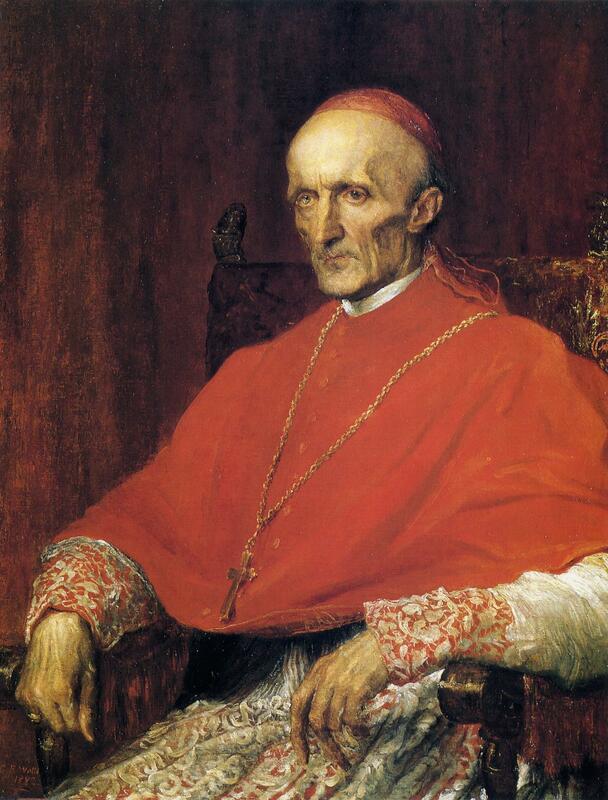 Significantly, Cardinal Manning later expressed admiration for the communal solidarity and organisation of the Jews, and raised his voice in defence of Jews on a number of occasions. 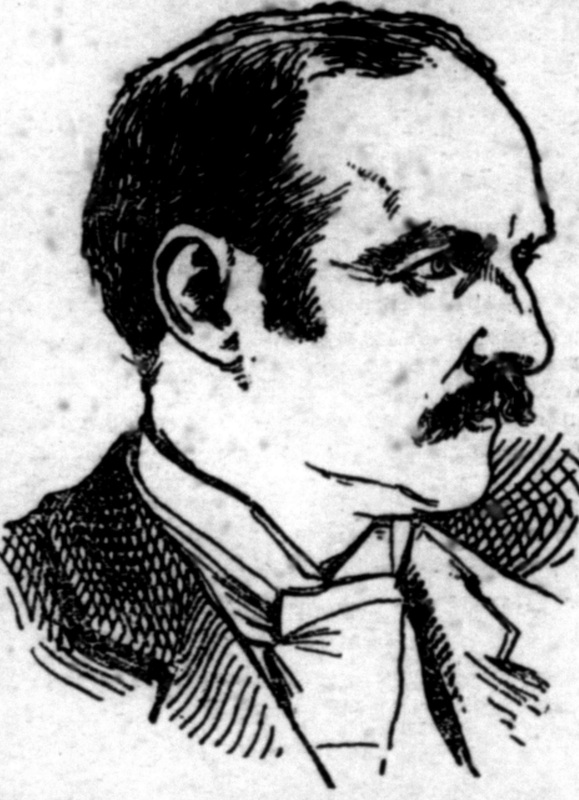 In an address delivered at a meeting organised by the Lord Mayor of London in 1882, Manning condemned the persecution of Jews in Russia, and asked, “for uprightness, for refinement, for generosity, for charity, for all the graces and virtues that adorn humanity where will be found examples brighter or more true of human excellence than in this Hebrew race?” Manning defended Jews from the ritual murder accusations, and was presented with an illuminated address of thanks by Herman Adler, the Chief Rabbi of the British Empire, and a number of other prominent Anglo-Jews. In response, Manning stated that: “I can therefore bear witness to the charity and generosity of my Jewish fellow-countrymen. I have found them forward in all good works. In the care of your children, of your sick, and of your poor, you give us a noble example of generosity and efficiency. You are inflexible, as we are also, in maintaining that Education is essentially a religious work. Your Schools, as ours, are firmly and fearlessly religious.—I have been witness of your care of the sick in the festivals of the Metropolitan Free Hospital.—Of the watchful care of your poor I have had full evidence. When, driven out by tyranny in Russia, they came over in multitudes to our shores, I was witness of your wise and efficient administration.” Manning also stated, in a letter written to Sir John Simon in December 1890, that the Jews are: “a race with a sacred history of nearly four thousand years, a present without a parallel, dispersed in all lands, with an imperishable personal identity, isolated and changeless, greatly afflicted, without home or fatherland; visibly reserved for a future of signal mercy. … any man who does not believe [in] their future must be a careless reader, not only of the old Jewish Scriptures, but even of our own.” It would seem that Manning still maintained an essentializing construction of “the Jews” as a distinct and unchanging people singled out for some future purpose, but whereas previously he constructed that image from mythological narratives of the Jewish Antichrist, he now engaged with more positive stereotypes. These positive stereotypes were nevertheless still essentializing constructions drawn from his reading of sacred history and scripture. Whilst any essentializing of a group as “the other” can be dangerous and petrifying, even when couched in such positive terms, it does at least seem clear that Manning’s view about the Jews had changed significantly and for the better. See Transcript of speech by Cardinal Manning, in “Persecution of the Jews in Russia,” Times, 2 February 1882, 4; “The Cardinal Archbishop and the English Jews: Presentation to His Eminence,” Tablet, 1 November 1890, 701; Letter from Cardinal Manning to Sir John Simon, 8 December 1890, printed in “The Cardinal and the Jews,” Tablet, 13 December 1890, 935. Regrettably, Manning’s earlier theological construction of the Jewish Antichrist, untempered by his later stereotype of the refined, charitable, community-minded Jew, served to influence later English Catholic authors. 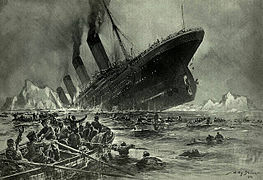 For example, in 1901 and 1904, Colonel James Ratton, a retired army doctor and anti-Jewish/anti-Masonic author, linked Jews and Freemasons in an alleged anti-Church conspiracy, jointly led by the so-called Jewish Antichrist and the so-called “Sovereign Pontiff of Freemasonry” (discussed in my examination of the Diana Vaughan hoax). In a four-part article published in the Catholic Times in 1920, Canon Dr William Barry, a senior priest in the archdiocese of Birmingham, a respected theologian and a prolific author, explicitly cited and intertwined Manning’s narrative about the Jewish Antichrist, which he treated as an almost prophetic forecast, with his own antisemitic myths and stereotypes. According to Barry, “the long-drawn anti-Christian movement, centuries old, quickened by victory after victory … is advancing, it may well appear, to universal dominion.” Barry asked, “was no warning given?” He concluded that it was, in “Dr. Manning’s forecast of 1860.” Repeatedly quoting from Manning’s lectures, Barry asserted that the Antichrist would be of Jewish blood, an arch-medium, a revolutionist, a protector of the Jews who would be hailed by them as their saviour. Barry stated that it is clear from “St. Paul’s doctrine of their destiny, and with what St. John and the Fathers have left us concerning the Antichrist,” that the question of the Jew’s role in the fate of Europe will be the “most vital and most decisive of all.” Again citing Manning’s lectures, Barry argued that “the Catholic spirit and the Hebrew genius” are “deadly and changeless antagonists,” locked in conflict as a result of “Israel’s rejection of the Gospel.” “Israel,” he informed his readers, “did surely fulfil the prophets when it gave birth to Christ.” It is doing so yet again, Barry concluded, but this time “in whatever degree it has paved the way for Antichrist.” Barry returned to this subject in the Catholic Times in April 1923. He stated that the prophecy that Israel would “rise to power in Christendom,” in alliance with “the ‘Man of Sin,’ who will … be himself a Jew, though most likely a renegade from his faith and tribe,” was an amazing “stroke of divination.” According to Barry, Cardinal Manning regarded “the Revolution,” “the evil elements in emancipated Judaism,” and “the assailants of Papal Rome,” to be “associated in a common Unholy Alliance.” In June 1923, an editorial in the Month, the periodical of the British Jesuits, referred to Barry’s “notable article” on the Antichrist, and concluded that “in Soviet Russia Manning’s prophecy has actually been realised.” The editorial stated that “Antichrist, in the person of those apostate Jews, is already in power,” and “Marx, another apostate Jew, is his evangelist, and Christianity, especially the Catholicism of Rome, is the object of his bitterest hatred.” See William Barry, “Sign of the Times,” Catholic Times: 30 October 1920, 7; 6 November 1920, 7; 13 November 1920, 7; 20 November 1920, 7; William Barry, “Against God and his Christ,” Catholic Times, 28 April 1923, 9; “Antichrist in Russia,” Topics of the Month, Month CXLI (June 1923), 552-553. 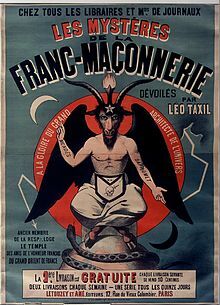 For more on representations of “the Antichrist” in English Catholic discourses, please see pages 50-56 of my article in volume 8 of Melilah: “From the Christ-Killer to the Luciferian: The Mythologized Jew and Freemason in Late Nineteenth- and Early Twentieth-Century English Catholic Discourse” (link to Melilah, volume 8).